Upgraded Version with smarter software and streamlined appearance, LP-11S vac machines vacuum more powerfully, operate more safely, seal more efficient. 3 Improved Protections bottom drainage design, circuit board waterproof layer, optimized software system, which ensure the control system accurately outputs the safety voltage to prevent fire by unstable voltage. 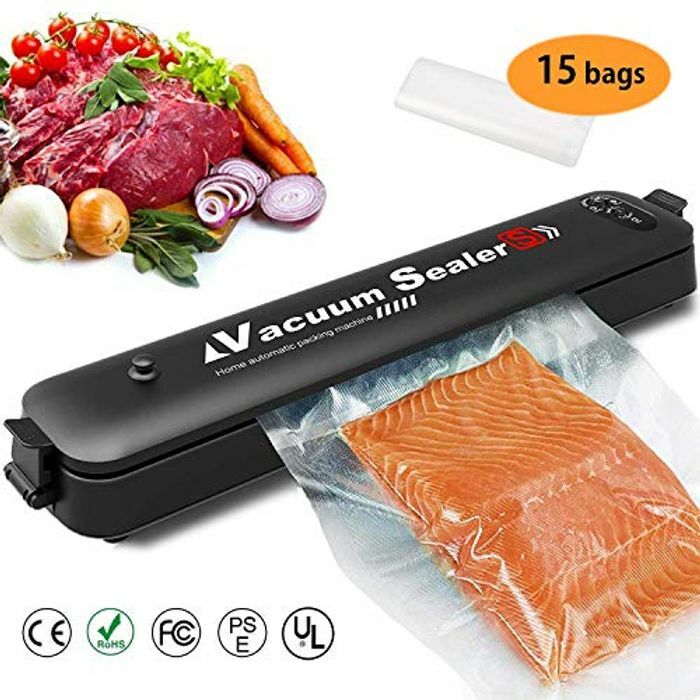 Multiple Function perfect for home use Seal Only or Vacuum Seal. Keep food away from nasty bugs and bacteria. Ingredients can be locked in great flavors and the nutrition. Also can pack important documents, jewelry, or other objects. More efficient & Safer with better protection of the circuit board and more accurate judgment of output voltage, the vacuuming motor and heating wire can work normally to ensure the efficiency of vacuuming and sealing. Smarter design streamlined design, stylish and beautiful. Hygienic and easy to clean. 1 Year Warranty with Free Worry + 3 Years Lifetime. fabulous deal! been wanting one of these for a while and great that the code works on the bags as well! and quick postage as well! Bought a bargain Ty .